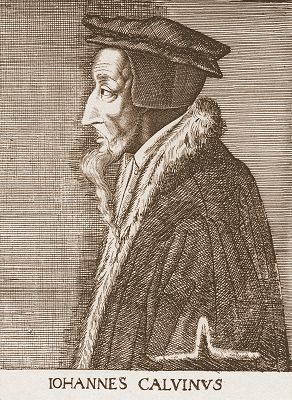 I am reading “John Calvin: A Heart for Devotion, Doctrine, and Doxology,” and learning about John Calvin from some of the authors, pastors, and theologians I most respect. It still amazes me how words penned in the early 1500s could be so poignant today. When the Gospel is at the center, your message never wears out, I suppose. I have been so encouraged as I grow to know a little more about this fascinating man. Most recently, I have been reading the chapter “The transforming work of the Spirit” by Thabiti Anyabwile. I’m still carrying around the blessing of these words, quoted from Calvin’s original work. Let us not doubt! God has FURNISHED us with the the power to be victorious. Always. God always wins. Did you know that? You can question my counseling techniques, I don’t mind at all. But, I will say that when she left I felt like God had just given me the same pep talk. It was not a feel-good message about mastering bullies or getting my own way. It was a reminder that God defeats evil. Always. He hems us in, behind and beside and before and for eternity, in all His victory. He is always victorious and He has furnished our human houses with gifts of the Spirit. We shall always be victorious over the devil, the world, and every other harmful kind of thing. That is something beautiful. Evil doesn’t stand a chance. This entry was posted in books and films and articles, theology and philosophy. Tagged Bible, Christianity, Church History, God, John Calvin, Reformed Reformation, Religion and Spirituality, The Institutes of Christian Religion, The Reformation. Previous Post Previous post: Late Modern or Post-modern? Caroline ~ Thank you for your encouraging words of TRUTH!! Your blog is a blessing to me every time I read it (more on that later :p). I read in Taste & See (Piper devotional) “Faith feeds on the Word of God. Without a steady diet it gets weaker and weaker.” I had always though “faith comes from hearing and hearing from the word of God” meant that my faith grows as I spend time with the Lord in His Word…but I had not thought that my faith weakens if I withhold the food of the Word!! Don’t you love new perspectives?!! Your new perspectives that you share in your blog are what blesses me! Thank you for making the time to share! God is such a faithful minister … His Word is always true and always present and always relevant! Debbie – thanks for YOUR encouragement and inspiration and perspective! The best perspective-giving we can offer is always pointing the direction of God’s Word. I am so thankful that God, in His grace, allows us to see anew what He has always held before us! Thank you for this reminder about tasting and seeing … you have no idea how beautifully that fits with the Lord’s work in my life! I wrote this back in October 2010, but I was reminded of these thoughts again tonight.